On Friday, March 15, VUPD received a report from a Campus Security Authority that a female student reported she had experienced a drug- or alcohol-facilitated sexual assault by a male student during the evening hours of Thursday, March 14, in an on-campus residence hall. Sexual assault does not just occur between strangers. Consent must be clear and unambiguous for each participant at every stage of a sexual encounter. The absence of “no” should not be understood to mean there is consent. The Vanderbilt University Police Department is available to assist you 24 hours a day, seven days a week. If you need emergency assistance, call (615) 421-1911, or for non-emergency assistance, call (615) 322-2745. The Project Safe Center offers a support line 24 hours a day, seven days a week at (615) 322-SAFE (7233). 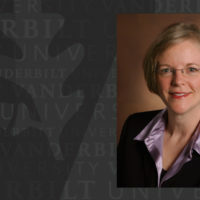 The Title IX and Student Discrimination Office can be reached at (615) 343-9004. The University Counseling Center (UCC) can be reached at (615) 322-2571.